All of your joinery custom made to suit all of your needs. Let our qualified and experienced team transform your dream into your reality. Specialising in kitchen design and offering a unique design service for people who crave insightful design, tailored to their lifestyle and individual needs. With many years of experience Pauline Ribbans Design can also help with the other rooms in your home too. Looking at the whole space and re-imagining it in the context of how it will function for you. Every design is as unique as every person and Pauline's design style reflects this.At the end of the process you will have a fully specified set of working plans and rendered pictures to able you to get comparable quotes from your preferred joiners. Pauline can get quotes for you if needed. The Interior Difference is a design consultancy with a difference. Not only do we offer specialized kitchen & joinery design and a full colour consulting service for new & established homes; we also offer a stand alone 3D rendering service for kitchens, bathrooms and laundries. You can send through your design ideas, or ideas from your joiner / builder / local design professional, and for a small fee we will draw them up as full colour, scaled 3D images to allow you to 'see' the finished product and make sure it looks the part before manufacture commences. Working for both the private and commercial sectors, The Interior Difference has over 10 years experience in kitchen & interior design. Get in touch today and let us help YOU achieve Your Interior Difference. At Advanced Cabinetry, we have been working with homeowners to design and craft their dream kitchen for over 15 years. We are a Registered Building Practitioner with a team of qualified and experienced designers and craftsmen to give you confidence that you will get only the highest quality kitchen to entertain your family and friends for years to come. All our work is guaranteed and you are further protected with warranty insurance. To bring your dream kitchen to life, call 03 5332 7040 today. Complete Style Joinery has an outstanding reputation for quality, detailed joinery and excellent customer service. From small domestic projects to large commercial fitouts, we apply our rigorous quality standards at every step of your project. Whatever your budget, our commitment to quality never varies. Whether you are building, renovating or specifying a project and need to know what we can do? Talk to one of our team members today – we love customer contact. Brands and Materials - We access an extensive range of high quality materials, products and accessories to work with each client, assess their needs and take them through the selection process. We are continually updating our range with the latest products and materials. Cabinet , door and bench top materials include: timber, verneer, polyurethane, glass, quartz stone, laminate, MDF, vinyl wrap doors and metal. Whatever the look you are after, we can source materials that bring your project vision to life. Complete Style Joinery uses only quality brands including: NaturaStone, Laminex*, Hafele, Parbury & Blum – using brands the industry can rely on, means we meet our commitment to quality and your completed project satisfies year after year. 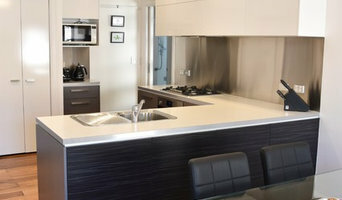 Milestone Benchtops is a leading fabricator and installer of granite, quartz, marble, etc. Milestone Benchtops provides the highest quality of fabrication and is a complete provider of both natural and engineered stone products. 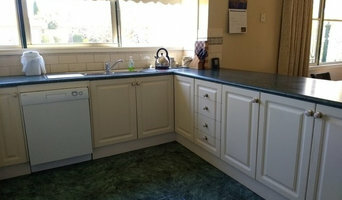 Milestone benchtops services Ballarat, Central Highlands and Surrounding areas. Utilizing state of the art Italian machinery, Milestone can customize any situation to suit you. 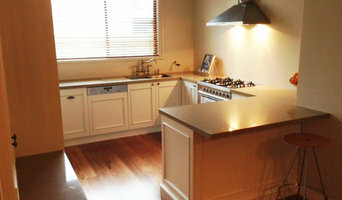 The Kitchen Wizard is a customised kitchen specialist company owned and operated by Dave Humphries. Based in Ballarat projects as far as Melbourne, Geelong, Lorne, Colac and Hepburn Springs have been successfully delivered. With his full cabinetry manufacturing workshop at his disposal, major projects to minor modifications are easy. Dave has 19 years in the industry and offers a personalised service to his clients. He is constantly looking for those projects that showcase his ability. You start with discussing project design and objectives with Dave and having your completed project handed over by Dave. Keeping the one person in control from the beginning to the end means communication kept clear and simple. Phone calls, emails and messages are returned so there's no getting lost in the system when you need assistance. Supply and install Flatpack Kitchens. There are many types of kitchen professionals in Ballarat, Victoria – from cabinet makers, to carpenters and interior designers – and many trade professionals offer a full suite of expertise. Depending on the size of your kitchen renovation, and the kitchen designer, they may also hire contractors on your behalf and manage the project from beginning to end. Here are some related professionals and vendors to complement the work of kitchen & bathroom designers: Kitchen & Bathroom Fixtures, Appliances, Tile, Stone & Benchtops, Joinery and Cabinet Makers, Carpenters. 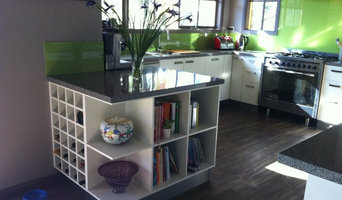 Find a Ballarat, Victoria kitchen designer on Houzz. 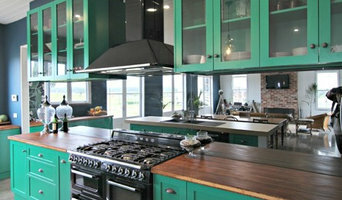 Browse the Professional section on Houzz to find kitchen designers in Ballarat, Victoria. Then, scroll through photos of their latest kitchen renovations and see how their work compares to the scope of your project. You can read reviews to see how other homeowners rate their work, and message them directly to to ask any specific questions.